The LG G3 was one of the best smartphones of 2014, but that doesn’t meant the company didn’t have anything to improve upon for its followup flagship. The brand new G4 brings some of the best specifications we’ve ever seen on a smartphone, but so did last year’s G3. So are the two different enough to warrant an upgrade? Did LG push the boundaries enough this time around? We find that out, and more, in our in-depth look at the LG G4 vs LG G3! LG has made it clear that its iconic design language and large form factor of the G3 is here to stay, which isn’t a bad thing in the slightest. The G3 brought the very first Quad HD display to the forefront while keeping the same rear-mounted button layout that first appeared on the G2. With the power button flanked by the volume rocker, this design cue on the G3 quickly became one of the most distinguishable LG features that would in turn end up sticking around for some time. A brushed plastic design gives the phone a stylish and sleek profile, with some of it bleeding into the bezel on the front of the device. With that said, the bezels on the G3 are pretty respectable, so handling is mostly dictated by the larger form factor. The G3’s back cover and battery are both removable, which many consumers tend to prefer. The G4, on the other hand, keeps the larger size but adds in a slight curve, not only for durability, but also for handling. The curve is most pronounced on the back, so the phone sits very comfortably in the hand. In turn, the very subtle curve on the front affords this device a bit more durability than what can be found on any of its flat-screened competitors. The iconic back buttons return once again, as expected, but this time around the power button is a tad thinner and not quite as easy to feel as the larger circle that’s found on the G3. Despite being just a bit narrower, the G4 is noticeably taller, but thankfully the curve tries to even this out in the handling department. The plastic backing doesn’t quite have the clean look of the brushed texture on the G3, as the subtle grid pattern seems just a bit more odd as a design cue. Still, the main story on the G4, of course, is the vegetable-tanned leather back plate. Sourced from actual cows, these leather backs provide much more grip and give the phone a profile more unique than last year’s offering. Handling is largely the same between these two devices, but we mostly enjoy the curves of the G4. LG definitely brought some design cues from the curved G Flex 2, which makes the G4 the overall winner in the handling department. The G3 is a bit simpler in its design philosophy without being too generic, so the changes in the G4 might seem like their reaching a bit, especially if you factor in the new leather back plates. Still, these are two of the more unique offerings from their respective release years, because LG has stuck to their signature design language in creating an attractive yet accessible line of devices, considering their larger screen sizes. While it’s still debatable as to whether or not these new Quad HD displays are necessary, Quad HD is basically considered a requirement in a high-end flagship these days. Although the G3 was the first widely available smartphone with a Quad HD panel, it didn’t come without its quirks. Sure, the higher resolution brought a better overall pixel density, but LG made compromises in how the elements were displayed on the screen. There’s a noticeable smoothing effect that can be found on the G3 when scrolling quickly through text – a problem that isn’t as apparent on the G4. Colors on the G3 also lack a bit of a punch, despite LG’s software overlay exacerbating this with its lighter and warmer tones. Nonetheless, having a larger screen with this kind of resolution turns out to be pretty fun for both work and play. The nuances found on the G3’s panel aren’t necessarily heavy offenders, just small quirks we notice from time to time. This is why the G4 needed to improve on the display found on last year’s model, and LG absolutely delivered with its new Quantum Display. With science aside, the point of this new version of LG’s IPS panel is to meet a standardized level of quality – the DCI film standard. The G4’s panel is missing the kind of saturation found on the G3, but it remains within the DCI levels of color, rather than the slight over-saturation that’s found on Samsung’s new panels. Though we do still notice some slight smoothing when scrolling through text, it’s definitely a lower amount than what’s found on the G3. It shouldn’t be a surprise that the G4 screen is an improvement from last year’s panel, but the comparison still feels necessary. The enhancements make this a proper flagship offering for this year, but all in all, both panels will likely please anyone looking for a larger screen size. LG continues to offer Qualcomm processors in its flagship devices, and that’s not a bad thing in the slightest. Last year’s LG smartphone brought the Snapdragon 801 and the Adreno 330 GPU, with the RAM capacity depending on how much storage the device offered. The 800 line is quick and capable, and despite the G3’s feature-packed software, the processor is still able to move along without many issues. Multitasking via the recent apps screen or the Dual Window feature allows for the power user to get done what they need, in an impressive amount of time, and that’s thanks in part to the G3’s beefy internals. The G4 offers top of the line performance through and through, largely because of its improved software and bump up in specifications. Instead of opting for Qualcomm’s flagship chipset, LG went with the Snapdragon 808 processor with 3GB of RAM this time around. As a result of the toned down UI and capable CPU, fluidity and easy navigation are the cornerstones of this LG UX. Despite not really fulfilling the desires of the overly spec hungry, most power users should get the kind of performance from the G4 that they really need out of a smartphone. When it comes to overall performance, the G4 takes the cake again. Both devices are a joy to use, but all in all, we just experienced less stutters on the G4. Despite changes on the outside, subtle or otherwise, much of what comes underneath the shell remains the same, and that matters more now than it did a year ago. LG currently finds itself in a landscape where plenty of manufacturers are omitting certain features that many users view as essential to their smartphone experience, which is exactly why many are favoring the G4 over other smartphones currently on the market. Both devices feature removable back plates, removable batteries and expandable storage. The option to expand the storage amount is probably the most important aspect considering the space-grabbing RAW capture in the camera of the G4, but otherwise remains simply a nice feature to have as a buffer. The G3 was our first example of how a higher resolution display might disrupt battery life, though all in all, last year’s flagship has done a great job at offering sufficient battery life. Though the battery capacity remains the same this year, the G4’s optimizations keep longevity exactly where it should be. With a bit more moderate usage along with some work to keep background apps from running, users can stretch battery life on the G4 past the day and a half mark. Though it might not have been a huge deal last year, the inclusion of a removable battery and expandable storage on this year’s flagship flies in the face of other manufacturers that have decided to go the other route. LG hasn’t been shy when rolling out new ideas in the camera department, and that’s absolutely true with the G3. In hopes to continue its pursuit to make the best smartphone camera available on the market, LG added in both optical image stabilization and a handy laser guided focus feature in the G3. In turn, the G3 offered one of the fastest camera experiences available on the market at the time of its release. The speediness of the camera paired with the phone’s much simpler camera application pulled in many consumers who wouldn’t necessarily carry a G3 as their main device. Last year we really only docked the G3 for its noise reduction and post processing, but other than that, the G3’s camera produced otherwise detailed and beautifully-colored photos. This year, LG bolstered the G4 by upping the megapixels from 13 to 16 and lowering the aperture to an impressive f/1.8. The front-facing camera was also slightly strengthened for the selfie generation with a wide angle lens and 8MP sensor. The front shooter can be controlled by a number of gestures, most notably the ability to easily check the picture by simply bringing the device down after the picture has been taken. And along with the laser auto focus and the larger sensor comes the Color Spectrum Sensor, a beefed-up IR that analyzes the scene in order to achieve proper white balance levels and more accurate colors. The G4’s camera app also includes a manual mode for those who are a bit more finicky with their photos. In the manual mode, you can use a histogram, leveler, and change very minute values – everything from the shutter speed to the kelvin levels of the white balance. You also have the ability to shoot RAW photos, allowing you to edit your images in post production if need be. The G4’s post processing is really the only misstep that we could find in LG’s newest flagship, as the smudgy noise reduction takes away from what are otherwise really great photos. Overall a better depth of field is observed in this lower aperture camera, and the colors are a tad clearer compared to the images produced by the G3’s camera. The lower aperture is also somewhat helpful in low light situations, though we can’t really complain when it comes to the G3’s larger sensor. Again, we shouldn’t be surprised that the G4 is an improvement from the G3, but what is important to note is that in this year’s high quality offerings the bar is getting set pretty high – and the G4 stays with the pack, providing a package that is as great for common users as it is for more experienced shutterbugs. It’s easy to see, judging by the few camera samples we’ve provided here, that the G4 is an obvious improvement over last year’s camera. We never really had many problems with the G3’s camera, but somehow LG largely improved the overall experience, in turn making the G4’s camera one of the best shooting experiences available in a smartphone to date. Taking a look at the G3’s photos, it’s clear that LG needed to make a few improvements in the camera department, though admittedly not as many as other flagships from last year. Still, the G3’s camera provides clear photos with vibrant colors, which is an impressive feat for a smartphone that launched over a year ago. When it comes to software, LG didn’t add too many new features in its newest flagship, though a few improvements have been made to keep the G4 feeling new. LG’s UX often gets slammed by users for its abundance of features that tend to bog down the system, and that’s exactly true for the G3. Last year’s flagship has many features that most users don’t ever touch, particularly the QSlide apps that take up a lot of space in the quick settings menu. After the G3 got its Lollipop update, many of the software annoyances were fixed, but some still remained. Since the phone’s launch, the UI has been cleaned up a bit, and the Knock Code and Dual Window features have been improved as well. The software experiences on both devices are largely the same, only with a few notable differences. The G4 features an improved calendar app that can save just about anything with ease, as well as a more powerful gallery app that categorizes pictures and videos. The G Flex 2’s Smart Notice feature has made its way to the G4 as well, though it now gives better weather notifications and warnings about battery draining background applications. Overall, though, the software has been toned down enough to where performance is improved, making the G4 a joy to use. Jumping out of the recent apps screen, Dual Window and the app drawer allow the device to move along without much stutter, which is very important in this year’s crop of flagships. 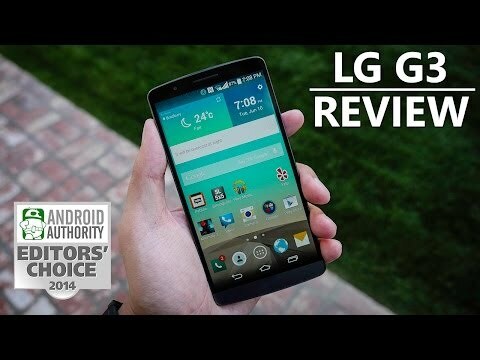 If you want fast and reliable performance, the Lollipop update with the G3 helps a bit, but the G4 is a much better performer in the software section, overall. Though the G3 is increasingly becoming available for lower prices, you will be buying a year-old phone. Although many don’t feel comfortable spending their hard-earned cash on a smartphone that was released in 2014, software updates have been doing a good job at keeping the phone from feeling like a fossil. The G3 is still a great value considering its lower price point, solid camera and speedy performance. However, the G4 has proven itself worthy in this year’s crop of flagships, and offers enough improvements across the board that make it worth the extra dough. 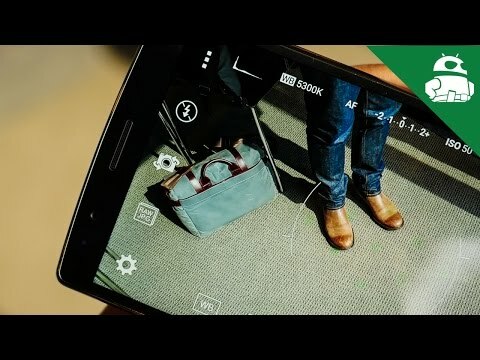 The camera is more powerful and robust than ever, the user experience is as smooth as it should be at this point in the game, and the signature LG style continues to impress. Save some money, or don’t – that’s what it ultimately comes down to. But if you go for the G3, you might feel like you’re missing out on one of the most powerful smartphones available to date. What are your thoughts? Do you think the G4 is worth the extra cash? Let us know your thoughts in the comments!